I wanted to make these for Momentum’s Magazine’s Bike fashion show as part of Fashion Week here in Portland, but there were no models available in the size I was planning to make. 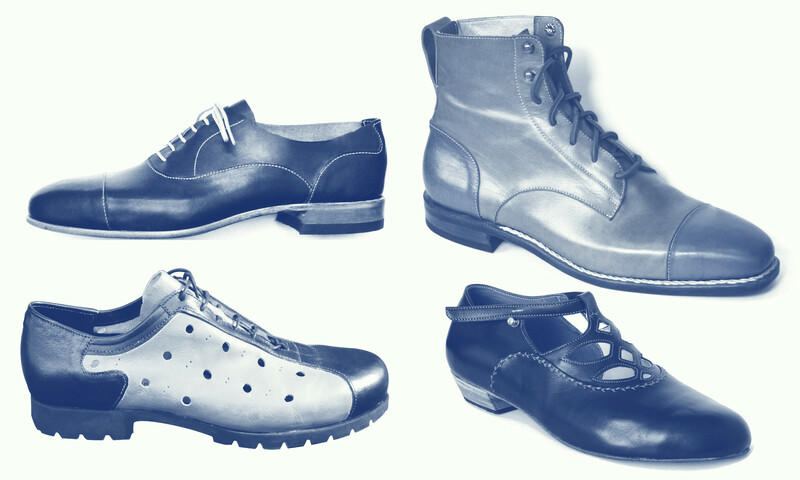 Other than the perforation pattern, which was common on classic bicycle touring shoes, there’s nothing really “bike” about them – no special equipment required! You just get on your bike and ride. Anyone who’s been around me or my shop over the last several months knows these have been on my mind. Finally today they are finished. 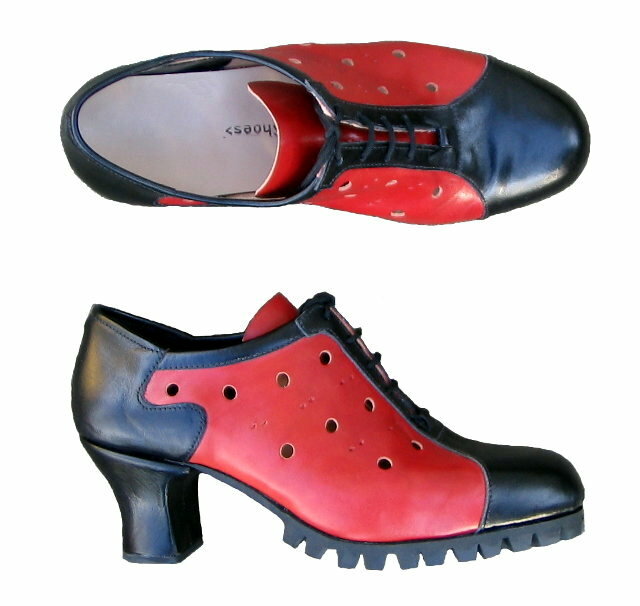 These shoes have the same general styling colors as the ExIT Cycle™ shoes, but done in a 2″ heel. Making high heel shoes is especially challenging for the small shoemaker because it requires a lot of specialized material, or a lot of engineering on the shoemaker’s part. While these were no picnic to produce, I’ve gotten positive feedback from all the testers who took tried them out. Many wished it was currently picnic weather so they could wear them some more. 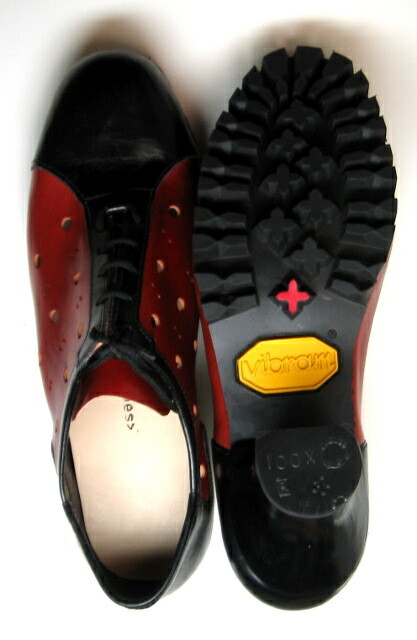 These shoes are unlined and feature the same Italian vegetable tanned upper as the ExIT Cycle™ shoes, but with a killer firefighter Vibram sole . 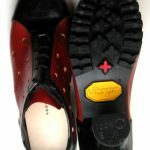 When you’re burning some rubber on your bike, or stamping out your camp fire, you’ll need these soles to protect you. (Hello firefighters…) Note the 100X on the heel. That’s because they are 100X cooler than any other ladies bike-styled shoes! Great job Jeff! They are amazing! If they had been my size (40.5) I might have tried clomping away with them. I’m hoping to get the boot design done by the end of February. Look for it here! I would totally wear these if they had cleats!!! I’m a SPIN instructor and would wear these for my classes too! Why don’t they have cleats?! Oh how cool! I’d wear them on and off the bike. I am suddenly in love with you. Which is just to say: these rock.